The Edison Tech Center has two main public use areas: a presentation/classroom area and exhibit space. Classroom Space: Groups can use our presentation area to meet and teach. There is a classroom area with video projector and sound system. This area can handle up to 50 people. 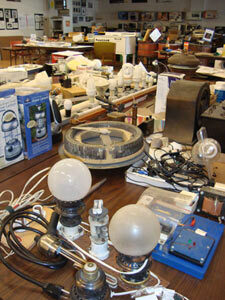 Exhibit Space: The artifacts all around can be used to teach about technology and science. We do not have typical exhibits like a museum. Much of our space is flexible and artifacts from the other nonpublic buildings can be brought over for use in teaching concepts or showing how technology has changed over time. 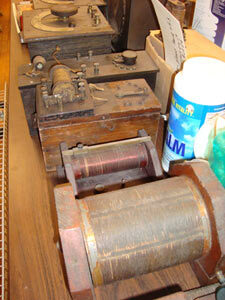 Use our artifacts to help teach your lessons, artifacts range from the latest consumer electronics to 130 years old! Professors and High School Teachers typically visit the center ahead of time to plan what items and what part of science or engineering they will talk about. After preselecting items that will be used in demonstrations they will schedule a date/time to bring the students. The day the students arrive teachers will use the flexible presentation area to address and show the students all the items. Students may also wander the other display areas after or before the main presentation. We have a video projector, large wall mounted display screen, audio capabilities and wireless Internet which the teacher may use. See below for more details on group sizes. 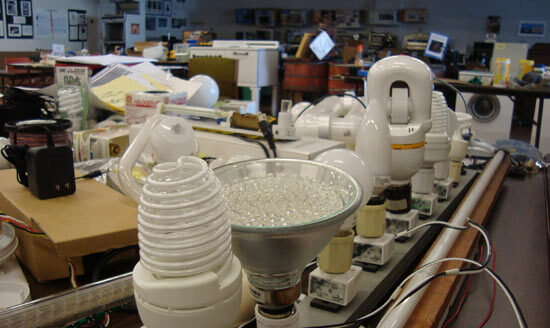 The Edison Tech Center has flexible and permanent exhibit areas as well as a presentation area. The center has hosted many Middle and High School Groups over the last decade. The downtown location is easily accessible from Interstate Interstate 890 in the Capital Region. Much of what the Edison Tech Center has can greatly enhance college-level learning. Union College is the most frequent user of the center, however all universities are welcome to take advantage of the full complex with its 10,000 or more artifacts representing all parts of technological development. College level students have access to a greater variety of artifacts than the general public. The Boy Scouts of America and local old age homes have been some of the other miscellaneous groups that have enjoyed the Edison Tech Center experience. Call us about scheduling a time for your group or class. Copyright 2014 Edison Tech Center. For use of ETC images and videos see our licensing agreement.